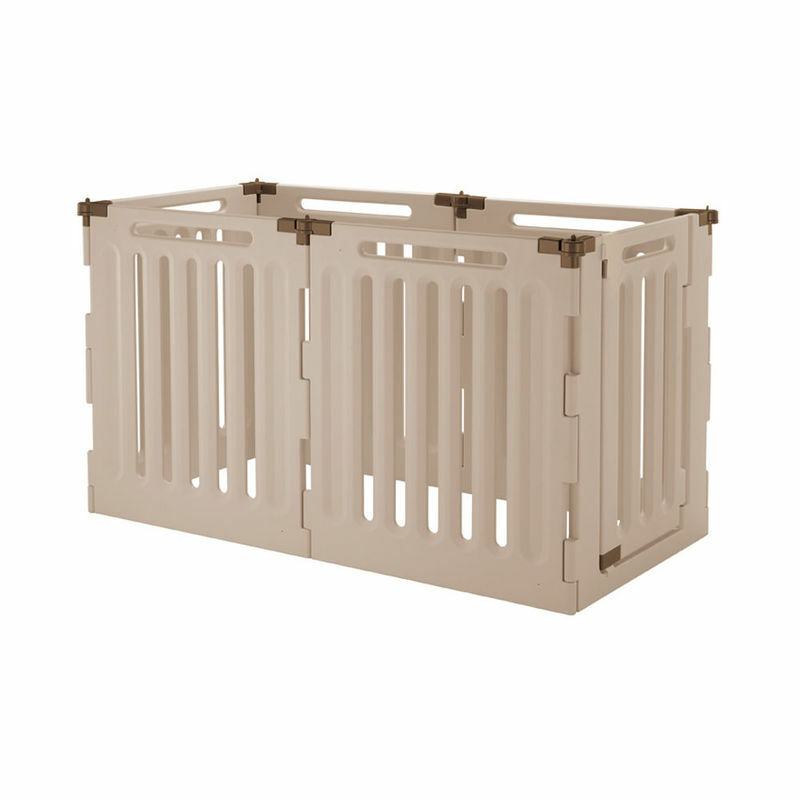 Richell Convertible Indoor/Outdoor Pet Playpen 6 Panel Tan / Mocha 127.6" x 33.1" x 36"
Made of durable plastic, this playpen includes water-resistant Hook Arrows that allow the playpen to be used safely indoors or outside. The playpen works great outdoors to confine your pet during family gatherings, plus it converts into a pet gate and room divider to confine your pet safely indoors in areas with larger openings. 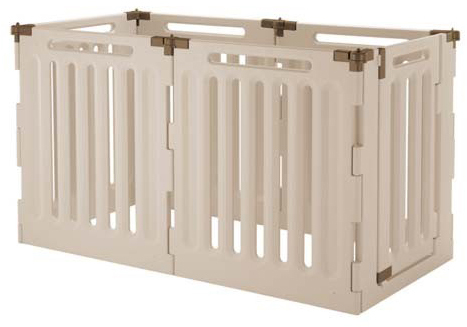 Because the playpen includes a lockable Gate Door, your pet has easy access in/out of the playpen. When used as a gate or room divider, the Gate Door allows you to move freely from one area to another without having to shuffle the entire unit. General Product Information: Recommended for small-large dogs 6.6 to 88 lbs. (3-40kg). Instruction manual included. 1¼" space between plastic slats. Durable blow-molded plastic construction. Hexagon pen dimensions 54.25" x 63.8" x 36"
Playpen dimensions: 63.8" x 33.1" x 36"
Divider Room dimensions 132" x 23.5" x 36"
Dimensions: 127.6" x 33.1" x 36"
40" x 33" x 10"